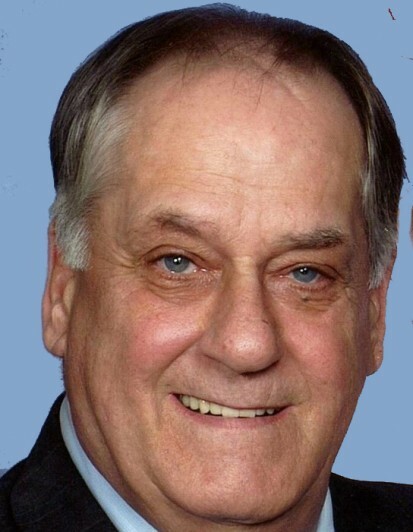 Richard Wayne Laypo, age 77, recently of Fairless Hills, PA, passed away peacefully, with his sons at his bedside, on Sunday, March 24, 2019 at Holy Redeemer Hospice, Meadowbrook, PA. Born in Trenton, he had been a lifelong Morrisville resident. Prior to his retirement, he had been employed as a foreman with Visor Builders for 10 years. He was a proud Marine Veteran, and was a member of the Yardley V.F.W. and the Knowles-Doyle American Legion Post # 317 in Yardley. He was also a member of the Fraternal Order of Eagles in Levittown. Richard was a sharpshooter in the Marines and, in 1963, won First Place in the Philadelphia Marine Barracks Rifle Team Competition. He enjoyed football, especially the Eagles, fishing, playing pool and collecting antiques. He loved listening to Elvis and Ricky Nelson and was a car enthusiast. Son of the late Edward and Emma (Varadi) Laypo, father of the late Denise Laypo, and brother of the late Sandy Ventigli, he is survived by two sons and a daughter-in-law, Troy and Jacqueline Laypo of Trevose and Richie Laypo of Fairless Hills, two brothers and sisters-in-law Edward and Linda Laypo of Fairless Hills, PA and Glenn and Debbie Laypo of Hulmeville, PA, two grandchildren, Troy Laypo, Jr. and Anthony, and several nephews. Relatives and friends are invited to attend his funeral service at 12 noon on Friday, March 29, 2019 at 12 Noon at the J. Allen Hooper Funeral Chapel, 41 W. Trenton Ave., Morrisville, PA. The Rev. Wendy Bellis, Pastor of Morrisville United Methodist Church, will officiate. His interment, with military honors, will follow at 1:30 PM at Washington Crossing National Cemetery. Friends may call on Friday from 10:30 until time of services at the funeral chapel.